There’s just something about bikes and beer that go together. 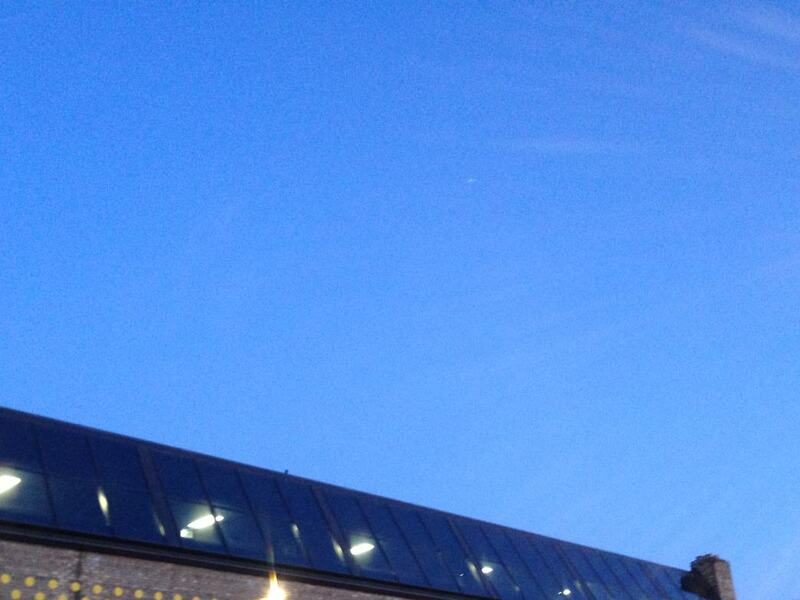 Fortunately for Minneapolitans, we have plenty of both in our great city. 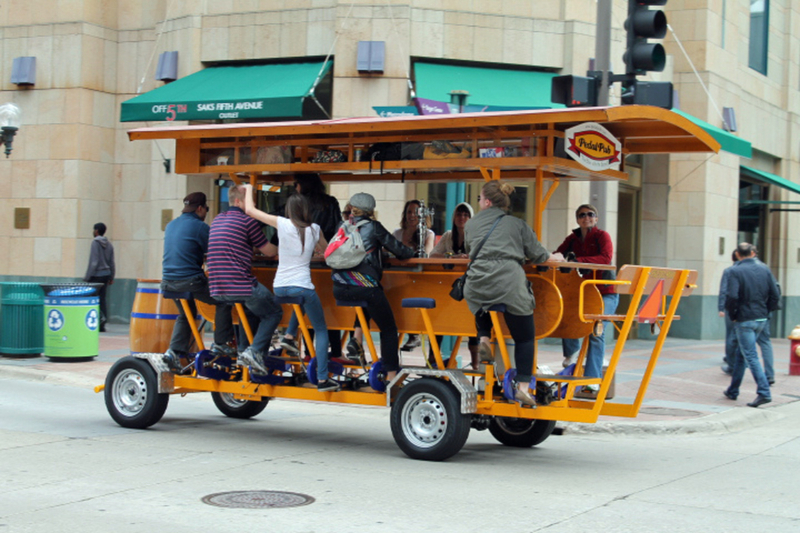 This is likely why cruising between breweries by bike has become a popular summer endeavor. 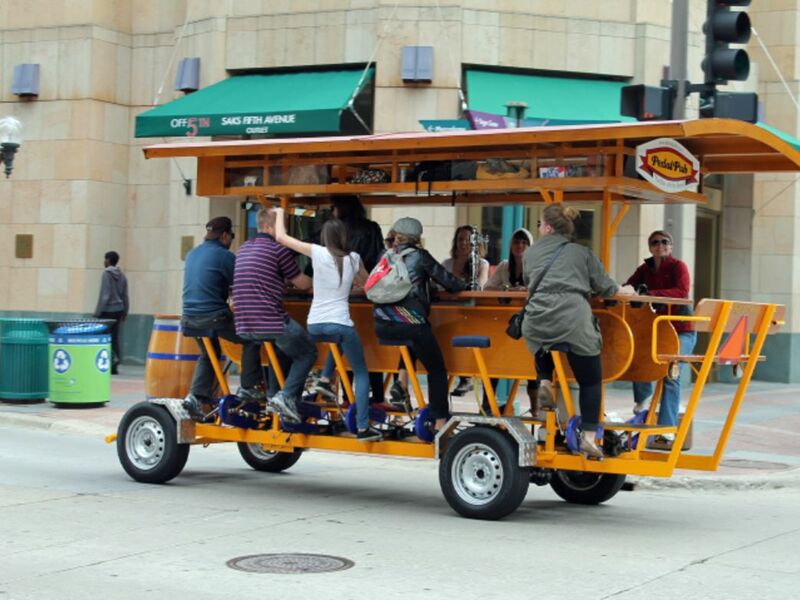 Not only are the Minneapolis breweries generally easier to access via two wheels rather than four, you also get the chance to burn a few calories and work up a thirst between venues. While there are countless combinations of routes you can take when it comes to checking out the Minneapolis breweries by bike, we wanted to provide a jumping off point. This itinerary by no means includes every brewery in the city, but rather, offers a route between some of the best taprooms in the most brewery-dense area—Northeast Minneapolis. Keep in mind that most of these taprooms are close enough that you can easily hoof it between them if you get a bit too tipsy to safely navigate on a bike. While this is a bit outside of the inner ring of breweries, it’s a great place for cyclists to have their first drink on a summer taproom crawl. Located just off the Cedar Lake Trail, many Twin Cities cyclists ride near Fulton without even realizing it. If you don’t have a bike of your own, this is also the perfect spot to rent a Nice Ride bike for the day. The closest kiosk is the Target Field Station . 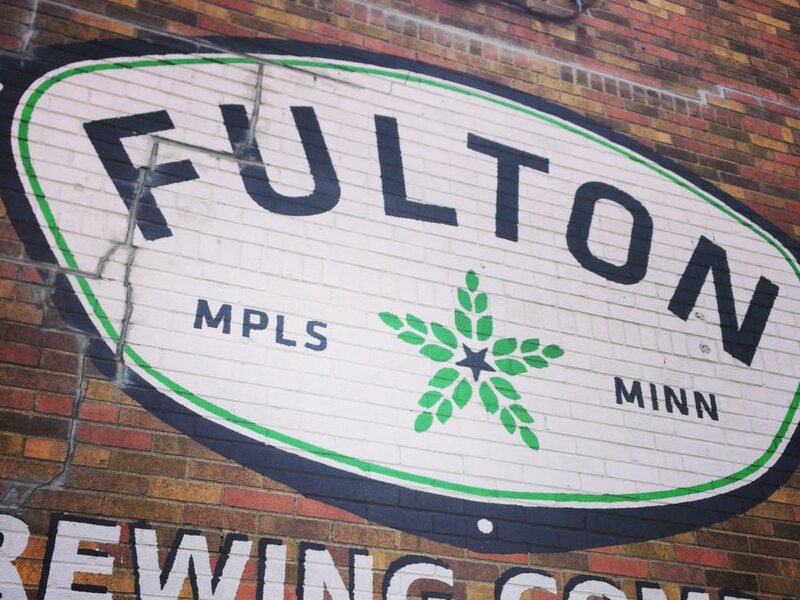 Be sure to try Fulton’s famous Sweet Child of Vine IPA, as well as one of their seasonals, currently The Randonneur. If you’re feeling adventurous, check out their Garage Series, which includes a variety of new brews from the Fulton lab, AKA the garage. Keep in mind that the taproom on 6th Avenue near the Twins stadium is where you'll want to go, not their actual brewery in Northeast. Next, head a mere 1.3 miles north to Boom Island Brewing, where you can snag a variety of Belgian-style beers. A family-run endeavor, the head brewer honed his craft alongside brewers at 13 different breweries in Belgium. From a Belgian-style IPA, to a dubbel, a tripel, and a saison, this is a must-visit for anyone into Belgian suds. 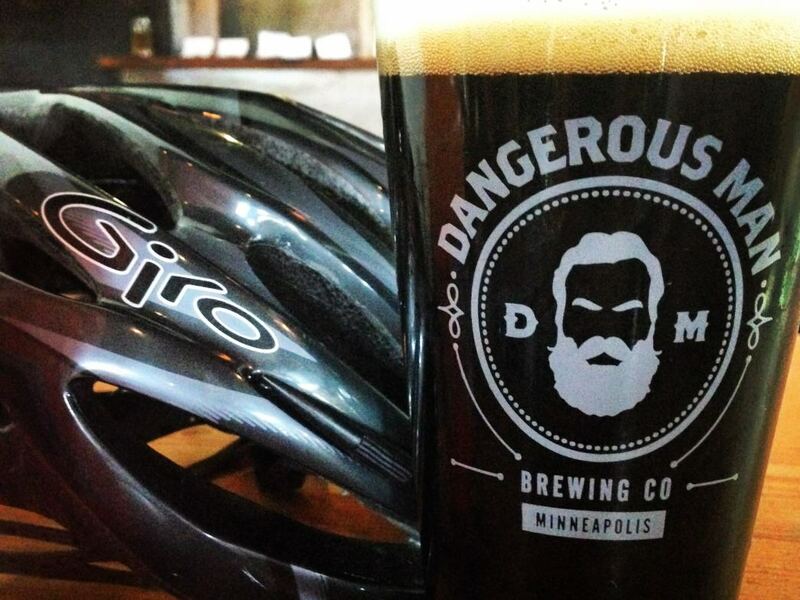 After Boom Island, go east to enter Minneapolis’ Northeast brewery district, starting with Dangerous Man. Located in an old bank building, this brewery has a ton of character. An imposing iron security door and ornate pillars are remnants of the building’s past life and local art on the walls makes for an inviting and modern space. With an extensive variety of beers on tap, there’s a little something for every beer lover at Dangerous Man. Ride east to Indeed Brewing to visit a Minneapolis staple. Marked by wood paneled walls inside and a lively patio outside, this one is worth a stop rain or shine. Be sure to sample their popular Day Tripper Pale Ale, as well as their seasonal options. This may also be a good time to take advantage of the food truck in the parking lot, which can be anything from Italian, to Mexican, to Irish fare. 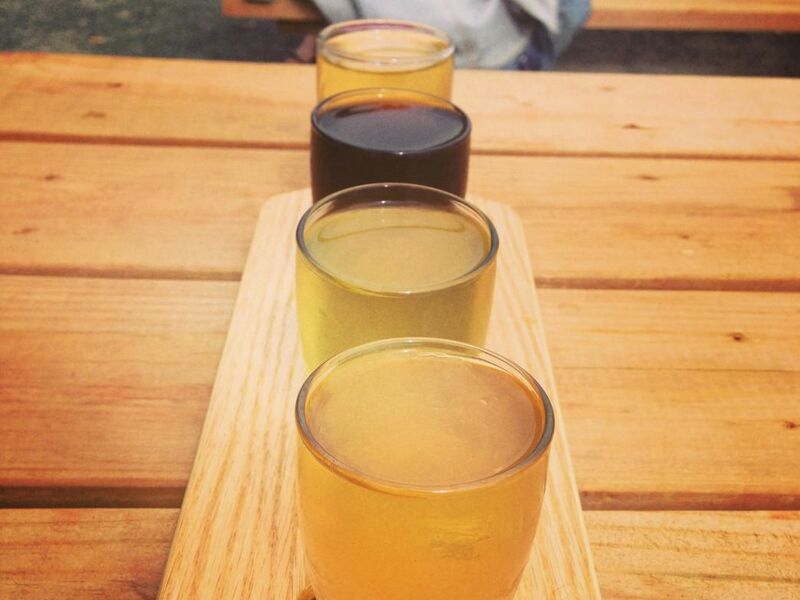 Now is the perfect time to take a break from beer and treat your palate to some delicious hard cider. To be sure, Sociable’s ciders aren’t overly sweet, offering a nice balance of tartness and body. Utilizing a number of Minnesota’s own apple varietals, such as Honeycrisp, Haralson, and SweeTango, their ciders are wholesomely Midwest with a Minneapolis edge. Featuring a hip, industrial feel, the atmosphere at 612 can't be beat. With a stone amphitheater outside the taproom, it’s also a great spot to sip a beer and listen to live music in the summer. 612’s Unrated Rye IPA is an excellent choice for those who love hoppy beers and their Six is perfect for anyone looking for something a bit lighter. If intoxication is setting in, go for their Radler, which combines house-made grapefruit soda and a light lager, making it only 2.2% ABV. Located in the same neighborhood as 612, Bauhaus specializes in German beers. Their long tables are ideal for big groups if you’re planning on making friends at this last stop. Their Wagon Party West Coast Style Lager and their Sky-Five! Midwest Coast IPA are two of their standout brews that any newcomer should try. Before you call it a night, hit up the food truck out back—you’ll be better for it the next morning.